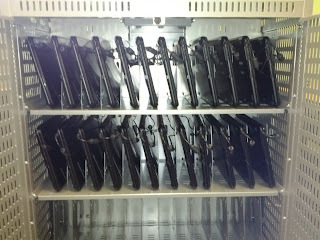 If you order 30 or more Google Chromebooks, you receive a free cart. Our Bretford cart arrived today. It was impressed, especially for a free cart. 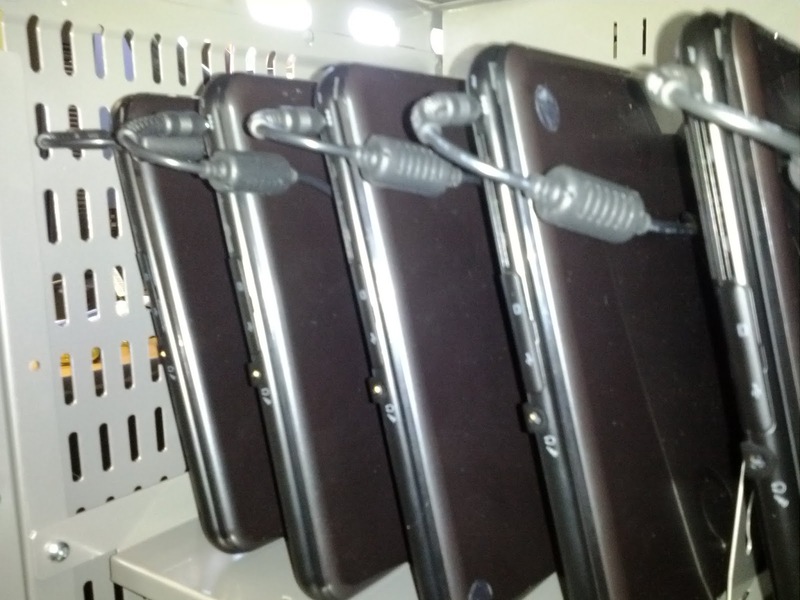 It has a 'smart' charging system that which seems to do a good job at keeping Chromebooks from getting to hot. 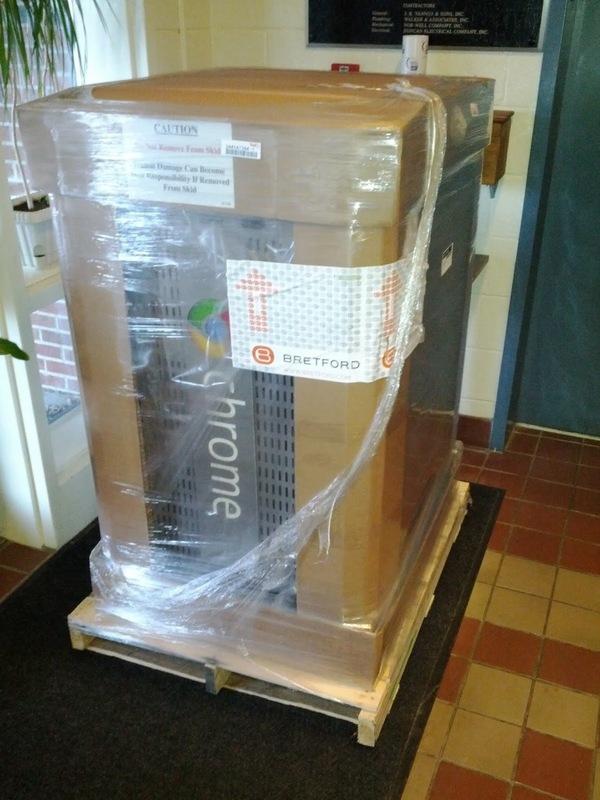 It also has excellent cable management. There are locking doors on each side. 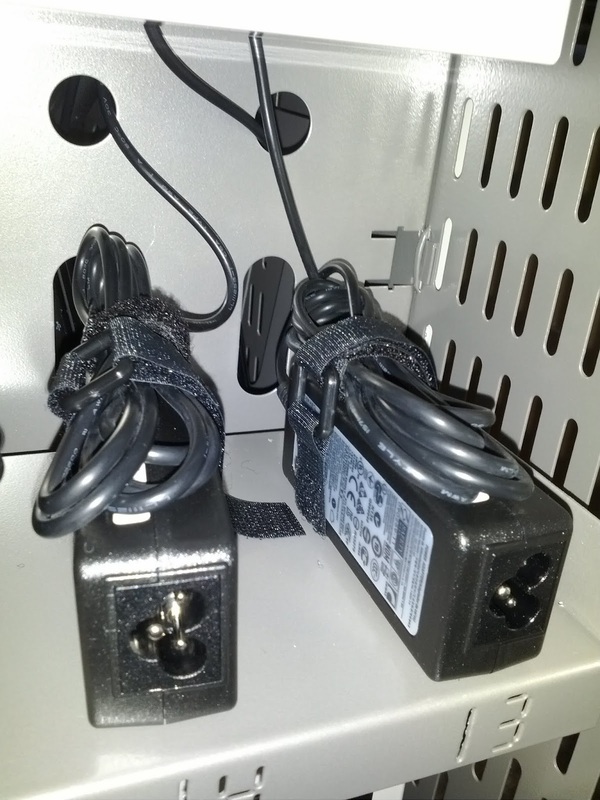 The back is used for organizing the ac adapters. 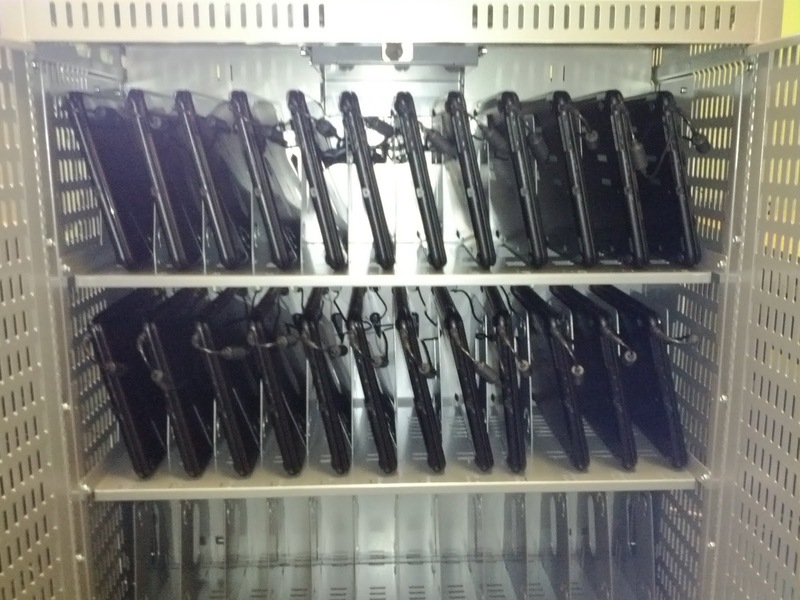 I like that this compartment can be locked independently of the Chromebooks, I think it will be easier to keep the cart organized if fewer people have access to that side. An 8th grade class used them to take a test via a Google Docs form. I gave a brief explanation of how to use the touchpad, but I am not even sure that was necessary. They didn't seem to have any trouble. They seemed to like them too. I had one of the students come and ask me if she could use one today. I told her she could just use one of the desktops in the lab and she responded..."but they take forever to log on!". Users this week include a 4th grade class taking an online test, and a 3rd grade class visiting spellingcity.com. I am going to try to expose grades 3-8 over the next few weeks, just so everyone has used them one. I suspect students and teachers will start requesting them soon after that. I am writing a grant for a classroom set of 10 to be shared. Do you love these? Thanks for the update to forms with images can't wait to try it!